Every client-serving business has a target audience. This audience is comprised of the people we think will want or need our product or service. Oftentimes they’re the reason the business was started or the product was created. We wanted to solve a problem or fulfill a need for them. As businesses identify and focus on their niche, their target audience narrows. We can’t serve everyone, nor should we try. If your target audience is vast and vague, such as “everyone” or “all small businesses”, you’re setting yourself up for failure. Aiming at everything is the equivalent of aiming at nothing and as Zig Ziglar explains, “If you aim at nothing, you will hit it every time”. The key to aiming at the correct audience is to understand who they are. This is why we need to create an avatar. An avatar is a figure representing a particular person on social media, internet forums, video games, etc. In the business world, an avatar is the person or persons who represent the identity and image of your target audience. Clearly identifying your avatar is the first step to improving your marketing results and growing your business. So how do we define our avatar? The foundation for defining our avatar is to determine the characteristics and traits of our target audience and the resulting demographics. Demographics are data from social statistics. Demographics are vital in today’s world and are utilized for everything from product pricing at the grocery store to presidential campaign decisions. Five minutes listening to exit poll results during an election is a good starter to learning about demographics. “X% of female voters are interested in candidate A”, “x% of minorities are voting for candidate B”, and so on. It’s important for politicians to track their voters’ demographic and equally important for businesses to do so as well. So what demographics should you consider? 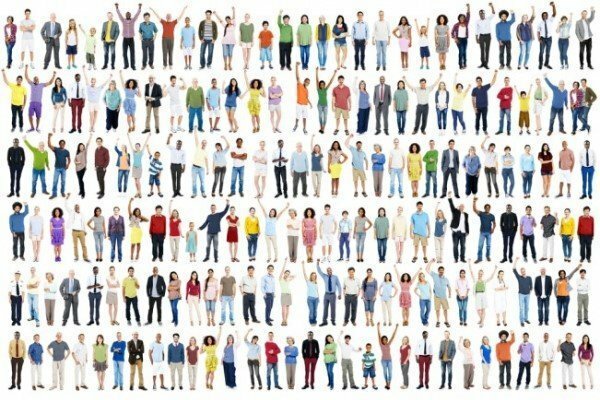 As many as you can to correctly narrow down the avatar of your target audience. Basic examples to start with include gender, age, race, ethnicity, and geographic location. Then we go a little further and consider things like marital and parental status, income level, disabilities, education, religious beliefs, and occupation. Finally, we may consider other aspects such as hobbies and interests, political beliefs, shopping and spending habits, entertainment interests, brands and devices they prefer, etc. Some of these characteristics may not be applicable to your audience and this is far from an exhaustive list, but this is a good list to start with. One final point to consider when creating your avatar is to be cognizant of your personal bias. In the business world, whether you like or dislike a certain brand or possess a specific characteristic is irrelevant. What IS relevant is your target audiences’ preferences. Once you have identified your avatar, the next step is to determine what type of content will interest and benefit them. How can you provide them value? What platforms and devices does your avatar spend the most time on? How do they prefer to view their content? Knowing your avatar and understanding the numerous marketing opportunities available simplifies the marketing process. Spend all of your effort and budget on providing content that your avatar will find valuable and interesting. As business owners and managers, we have a finite marketing budget and it is our responsibility to spend every dollar consciously with intent. Ensuring that we are aiming our marketing efforts at the right target is the first step in doing so. Knowing your avatar allows you to direct your marketing efforts to the right places which will improve your results.